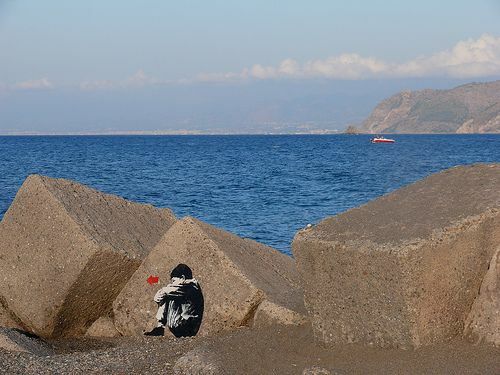 Patti, inhabited by 13,224 people, is set in the north-east of Sicily in the Province of Messina. The city was founded in the 1st century when the population from Tyndaris, the Lacedæmonian colony, left their progressive hometown because of a landslide that struck their town. Where Tyndaris was, the Church of Santa Maria del Tindaro (Picture 3) can still be visited together with its Franciscan monastery. The chosen place was an elevated place at 157m above sea level. Ep' Aktin (Ἐπ' Ἀκτήν, whose translation is 'on the shore') was the name given to Patti by its first inhabitants. Patti is the contraction of those words. Over the centuries Patti has suffered attacks and sacking, among which are the destruction of Patti by Frederick of Aragon in the 14th century for supporting the Anjous and then the Ottoman Turks’s sack. 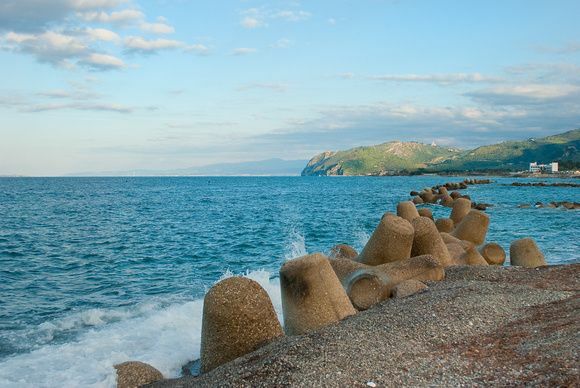 Besides its historical buildings, Patti’s beaches (Picture 1 and 2) also account for the town’s attraction. Cattedrale di San Bartolomeo was erected in the 18th century on the Norman church that Roger II had constructed in honour to her dead mother Adelaide and to bury her remains in 1118. The Renaissance sarcophagus that kept her remains is placed in the right transept of the cathedral. Patti’s favourite sight is the vestiges of the Roman villa. The villa is on the eastern outskirts under the motorway viaduct which makes a very bad location to preserve the villa. When in 1973 the Palermo-Messina motorway was being constructed, the villa was unearthed. Unluckily, a disgusting plastic roof shelters the polychrome mosaics from the car fumes and sun rays. The villa was constructed in the 4th century and stood for a century when an earthquake struck it. Its mosaics are very faded and unluckily they lack good explanation or any at all. And some artefacts uncovered when excavating are displayed in a room with Italian labels. The town has the service of a tourist office from Monday to Saturday. BY CAR: the Autostrada 20 Messina-Palermo goes past off Patti. Take the SS 113 to Patti. 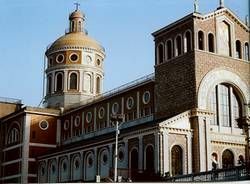 BY TRAIN: San Piero Patti station is where the trains from the other town of Sicily call at.